Different discounts and gifts are available at the Smartphone and Tab fairs at the Bangabandhu International Conference Center in the capital. The fair was started from Thursday on Thursday. It is going from 10am to night eight. New smartphones and tabs are available in the smartphone fair. The Top Hridoy machine 420 organizer of the fair, Expo Maker, said the Friday's Zamjamat fair will be held on Friday. There are several new smartphones this year. These smartphones are going to be sold off. There are many gifts available from the stalls in the fair. In the fair, there are various brands of smartphones and tablets available at the fair. 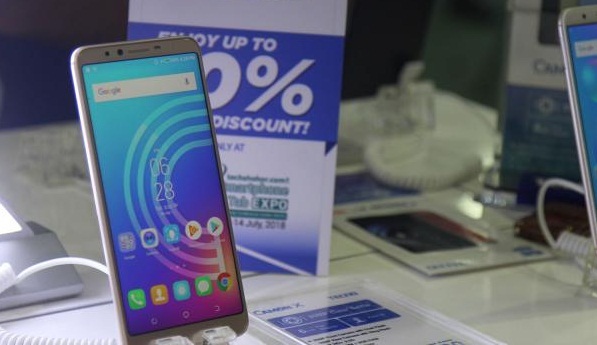 Samsung, Techno, Symphony, Wii, Huawei, Nokia, Oppo, Vivo, iPhone, Lava, Winmax, Lanevo, Detel, Widmond and many other brands and organizations took part in the fair. The brands display and sell different models of smartphones and smart devices in the fair. Mobile access is also available. More than the crowd of youths in the fair. They are visiting different stalls. Imran Hossain, who has come to the fair, said, "It is good to sell smartphones this year." Now there is more interest in the new facility, including the FourG facility. Expo Maker strategic planner Mohammad Khan said, "Young people are more interested in new smartphones. Visitors can take advantage of having the highest wages. Postal, telecommunication and information technology minister Mustafa Jabbar inaugurated the fair on Thursday. He said that youths get the opportunity to test new devices in this fair. Therefore, such a fair should be done not only in Dhaka but in district level. The fair can see a number of new models of the new model. These include Nokia's 'Banana' phone. Samsung also brings the Galaxy J8 The 16-megapixel camera with a 20-megapixel selphi camera brings Camon X smartphone to Sony Mobile Symphony has appeared in the fair with the latest Smartphone handset Z10 coming in the market. Huawei is showing the November 3 fair in the country's market in April. The Vivo V9 flagshit is seen on the fair. The display of the FO is the F7 model. UMDG has appeared on One Pro. Samsung announces discounts of up to Tk 10,000 There is a separate discount for the students. Not only that, every product has a discount. Students are given an opportunity to get extra discounts of up to 5 thousand taka on the reduced value by showing their identity cards. There is a variety of offers including cashbacks, discounts and taka mobile phones from the fair. Apart from visiting the techno pavilion, there is a chance to win the gift. Symphony Mobile is offering 5 percent discount on the exchange. There are also many more guaranteed gifts. It includes backpack, key ring t-shirt etc. We are giving them special discounts on all smartphones. Apart from this, customers can get guaranteed gifts and a lottery with each smartphone. 7 percent to 23 percent discount on Huawei smartphones and 7 to 43 percent discount on the table. Apo and Vivo Gifts with Smartphones UMDG Bangladesh Smartphone brand is offering pricing and gifts for customers for the first time.